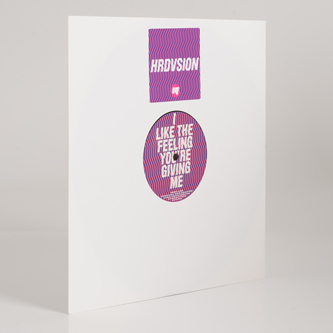 Bit of an unexpected signing from RInse, here offering the first label 12' from Nathan Jonson (brother of Mathew) under his Hrdvsion guise. Long gone are the complex Autechre-ish productions of his earliest material from a decade or so ago, in come more standardised Tech-House variants. The A doesn't sound all that far removed from classic 'Itiswhatitis' material, while the B opts for a slightly more dusted/analog feel complete with square-bass and tempered Acid House signatures. Nicely done.